People in the keto community love watching grocery hauls, fridge tours, or Days of Eating vlogs because they are easy ways to find inspiration and discover new ideas. 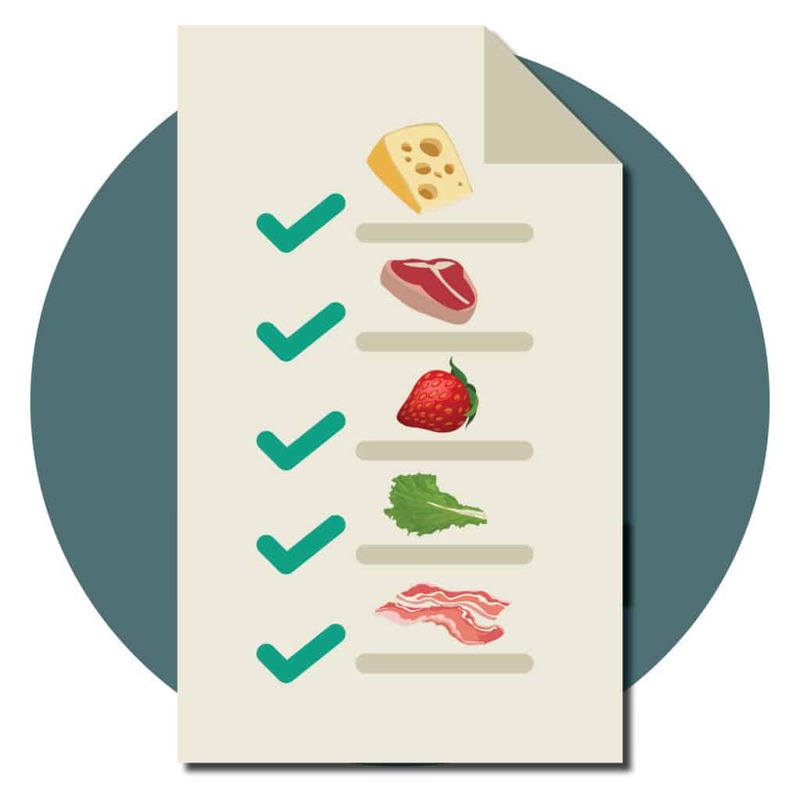 People trust KetoConnect to provide credible health advice and keto tips, so we want to be completely transparent with you! 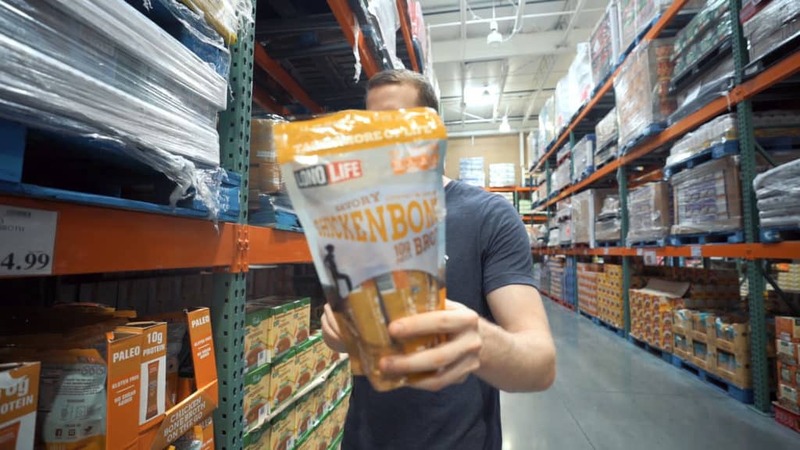 Come grocery shopping with us and see exactly what we like to regularly buy at Costco. We will even tell you which products to avoid. Grab a pen and paper! It's time to make your next Costco shopping list. A common excuse for not following a keto diet is that meat is too expensive. 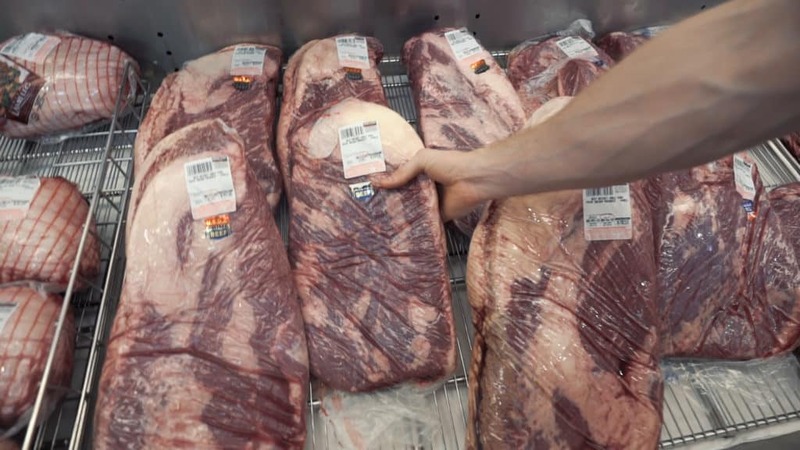 Yes, meat can be pricey, but not if you shop at Costco. Get quality meats at Costco for a fraction of the cost. This beef brisket was only $3.79/lb which is a great deal. 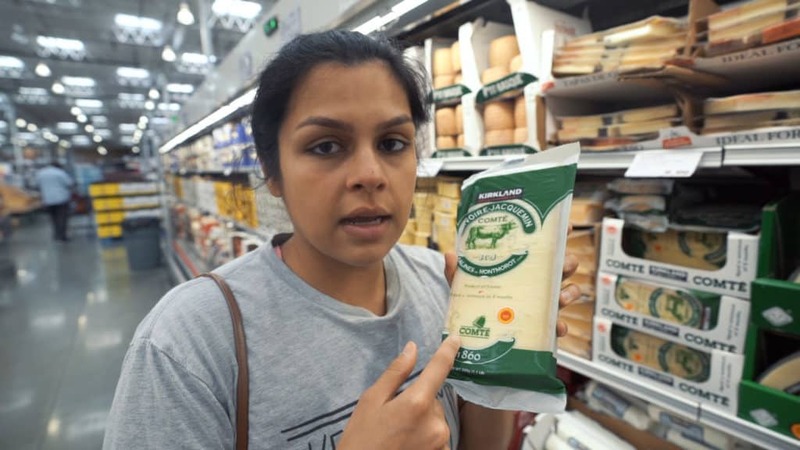 Comté Cheese is made from raw milk, which is easier to digest and is full of probiotics. It is also Megha's all-time favorite. This delicious, one pound brick from Costco was only $10.00 and aged for eight months. (The longer it has been aged, the better!) Megha's perfect night is munching on a cheeseboard, enjoying some wine, and hanging out with Matt and their fur babies. Add some olives, nuts, and berries to your cheeseboard for a delicious keto appetizer. 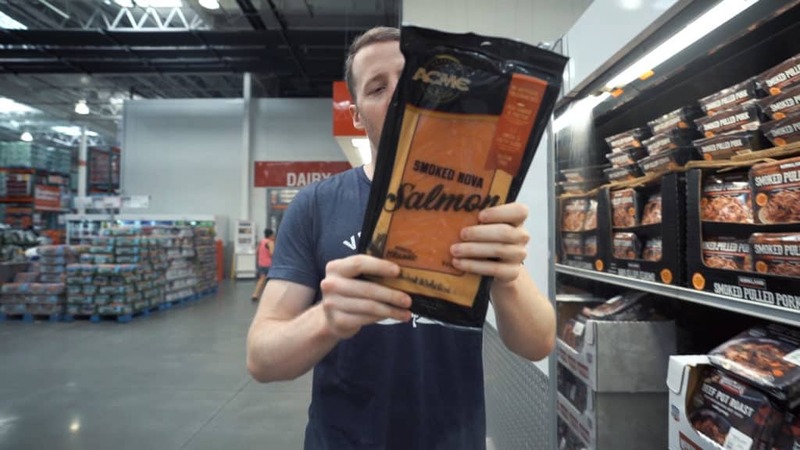 Matt loves smoked salmon for adding flavor and healthy Omega-3s to his meals. This smoked salmon from Costco was $15 per pound, which sounds expensive, but it's cheaper than other grocery stores. A lot of smoked salmon is cured with sugar, so make sure to read the ingredient label. Make our Keto Bagels then top them with cream cheese and smoked salmon for a low-carb Lox sandwich! 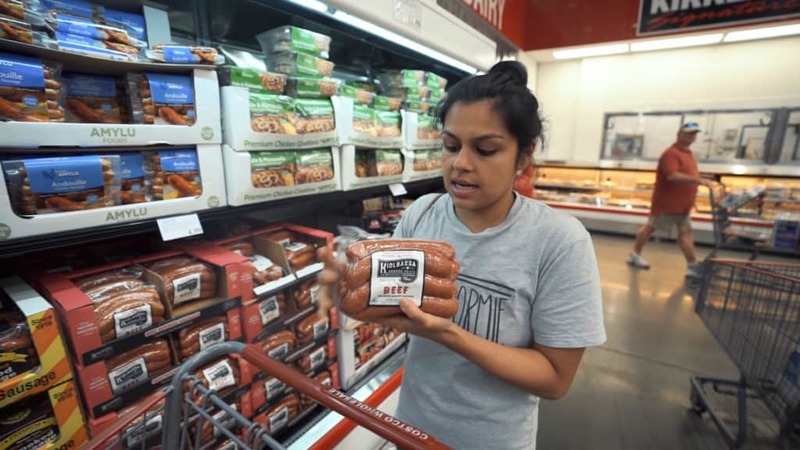 Megha loves Kiolbassa Smoked Beef Sausages. The macros are great for keto and they make for a quick and easy meal. They are full of fresh spices and smokey flavor. Enjoy it on the grill or fry it up on the stove with some cabbage! 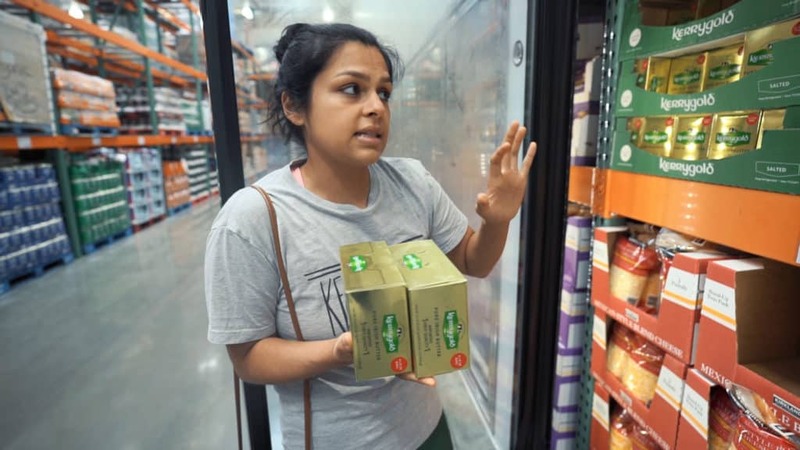 Costco has the best deal for Kerry Gold Butter, so stock up. It's only $11.00 for four bars, so we like to get three to six cases. We prefer to buy unsalted butter so we can have more control of how salty our recipes turn out. Try our favorite butter recipes, Bulletproof Coffee and Ooey Gooey Butter Cake! You will not find almond flour as cheap as Costo's Kirkland brand. A three-pound bag is just $12.00! This is a staple product for us since we like to make many of our recipes using almond flour. 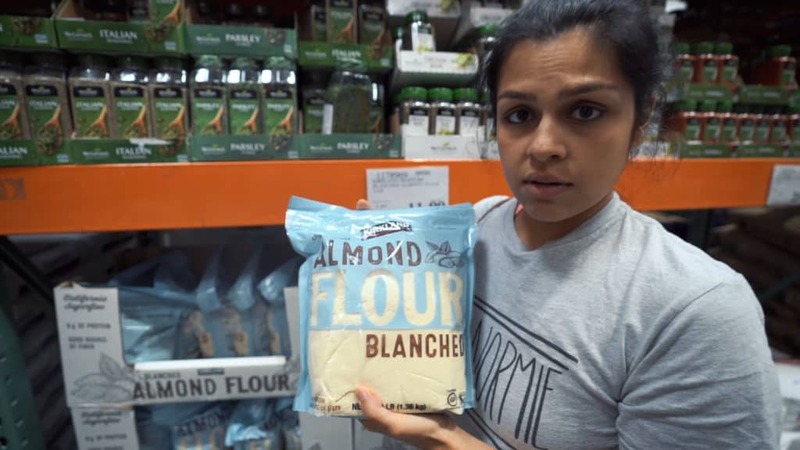 If you can't have almonds like Megha, we have plenty of coconut flour recipes as well. Here are a few of our favorite almond flour recipes. Ghee is just clarified butter, which means the fat has been separated from the milk, making it lactose-free. We blend it into our bulletproof coffees and use it in cooking. 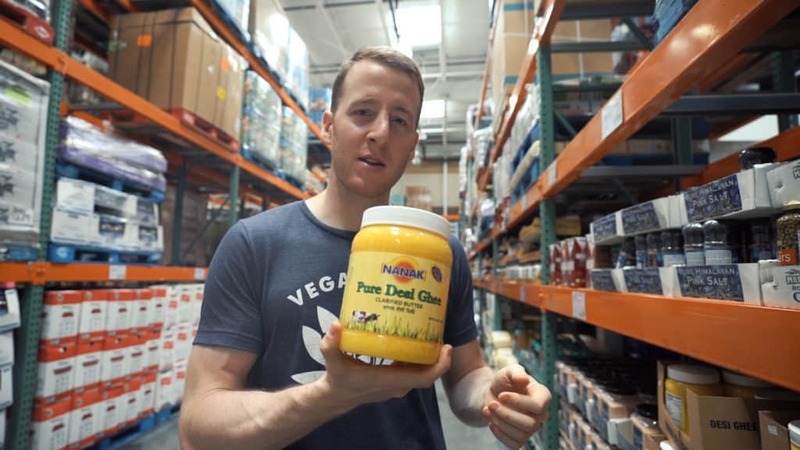 The Ghee we buy at Costco has good flavor and is cheap, just $19.00 for 56 oz. You can also find it at South Asian food stores for a good price! How do you like your sardines? Matt enjoys them on a fork and straight out of the can. 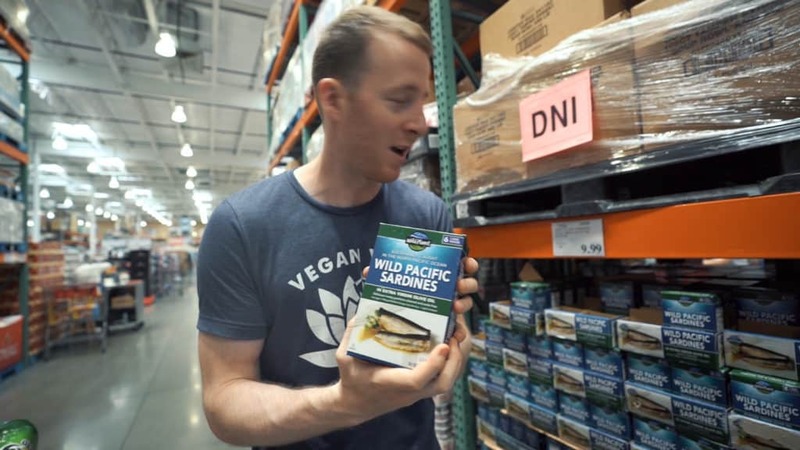 He says the one and only reason for going to Costco is to buy his favorite Wild Planet Sardines. Cold-water fish is full of Omega-3s which are important for maintaining overall health. The price at Costco can't be beat. You can get six cans of sardines for ten bucks! Comment below if you like snacking on canned sardines like Matt. Megha eats mayonnaise every single day in her Egg Salad, so she needs to keep the fridge stocked. 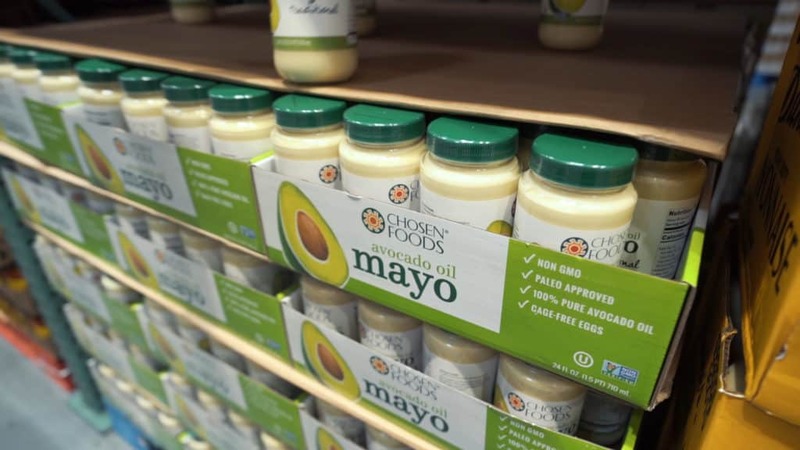 She used to eat Hellman's Mayonnaise, but since making the decision to cut refined vegetable oils like soybean oil and canola oil from her diet, she likes to buy from Chosen Foods. They make their sauces with avocado oil and coconut oil. 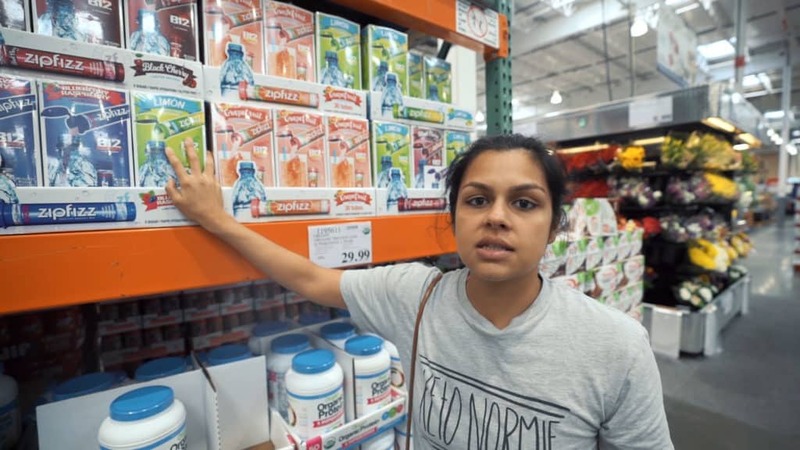 (Megha doesn't recommend the coconut oil one!) Remember to always read the ingredient label to know what's in your sauce! If you can't be bothered to make your own bone broth, but want to experience some of its gut-healing benefits, then we recommend LonoLife for their shelf-stable bone broth packets. The chicken flavor is our favorite and the Costco deal works out to be about $1.00/packet. If you do want to try making your own bone broth, try our Instant Pot Bone Broth recipe! Just because you're living that keto life, doesn't mean you don't want to crunch and much on something while at the movie theatre. Cello Whisps and Moon Cheese crackers make the perfect salty snack and you can find both at Costco for a low price. Megha prefers Cello Whisps, but Matt likes Moon Cheese the best. Let us know which one you like best! We love hemp hearts for their low-carb, high-fat macro ratio. They are perfect for keto and a staple food for many vegan and vegetarian diets that rely on plant sources for their protein and fats. You can score a 24 oz. 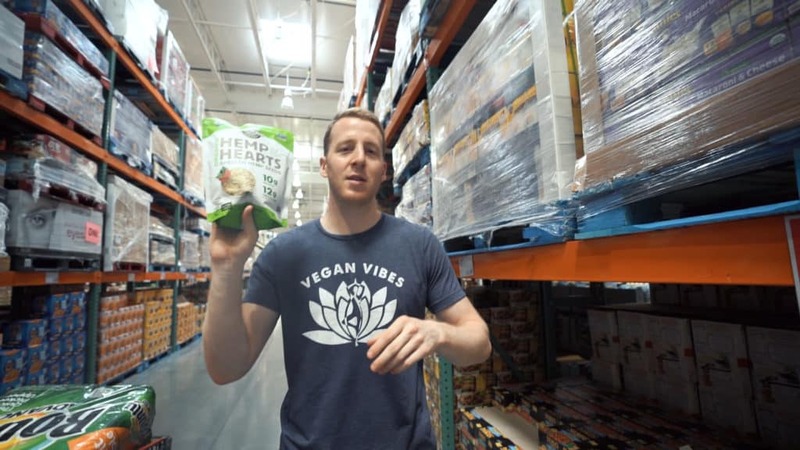 bag of hemp hearts from Costco for just $9.00! Use them in our Keto Oatmeal, Vegan Protein Bowl, and Vegan Meal Replacement Bars! 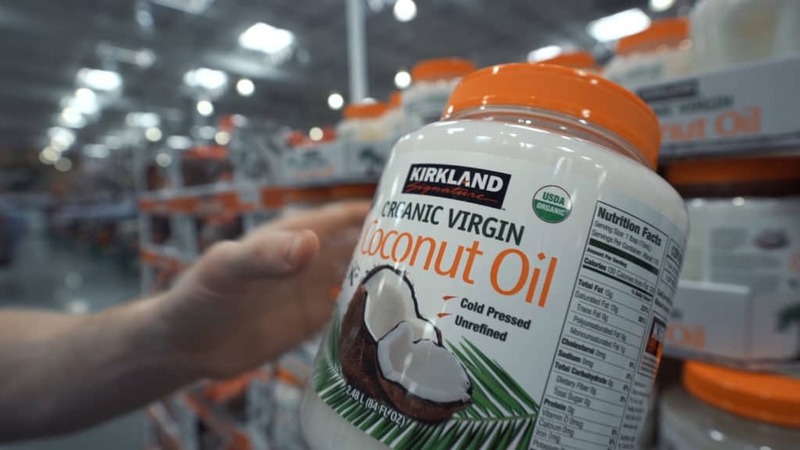 When buying coconut oil, we look for unrefined and cold-pressed, which just means they didn't use high heat or chemicals to extract the oil from the coconut. High heat tends to damage the nutrients in healthy oils. We use it for frying, but it is a great substitute for butter in any recipe if you want to make it dairy-free. Try coconut oil in our Coconut Fat Bombs and Homemade Almond Joys! Megha's favorite pre-workout is Zipfizz, not only because it's delicious, but it contains 1000mg of potassium per packet and a dose of caffeine. It's important to replenish your electrolytes like potassium, sodium, and magnesium while on a keto diet because your body isn't holding onto as much fluid as it usually does. As your body flushes out water, it flushes out the electrolytes with it, which can make you feel weak, tired, groggy, and even give you muscle cramps. Pick up some Zipfizz at Costco! Kirkland brand has a protein bar that is similar to Quest Bars, but a lot easier on the wallet. If you're looking for something to take with you to work or on a road trip, these protein bars are a good option! Make sure to buy the one that is sweetened with erythritol (Kirkland Signature Protein Bars), and not maltitol, which can spike your blood sugar levels. Just read the ingredient list to know for sure! Sweeteners to Avoid at Costco! Does natural mean sugar-free? No! Here are some sweeteners you will encounter at the grocery store, but should avoid! Agave Syrup: This is pure sugar. Coconut Sugar: Also just another form of sugar. Stevia in the Raw: The first ingredient is cane sugar, which is pure sugar. Splenda: This is okay in small amounts, like a packet in your coffee. But with ingredients like dextrose and maltodextrin, it's best to stay away from consuming this in large amounts. 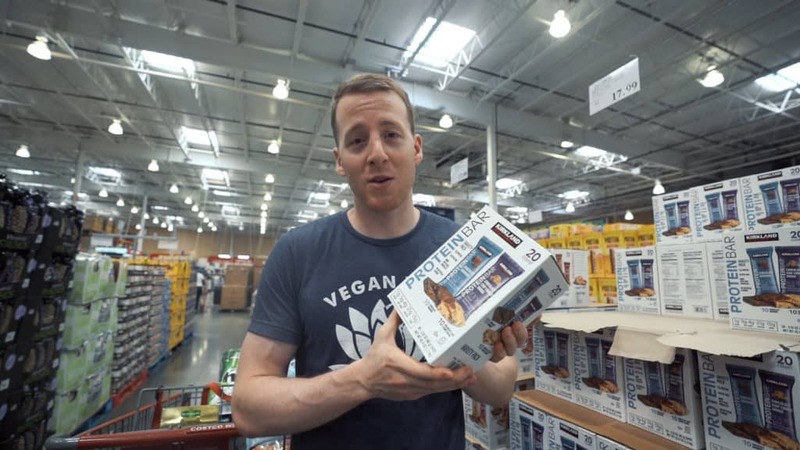 We were blown away by how many new products Costco was carrying on our last grocery haul, so be sure to check it out and see what's new in your store! 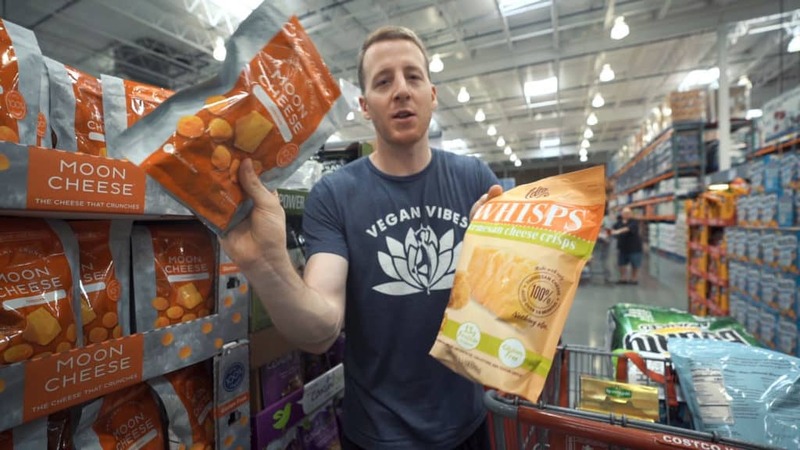 Comment below with your favorite keto grocery items from Costco!